What a great album. 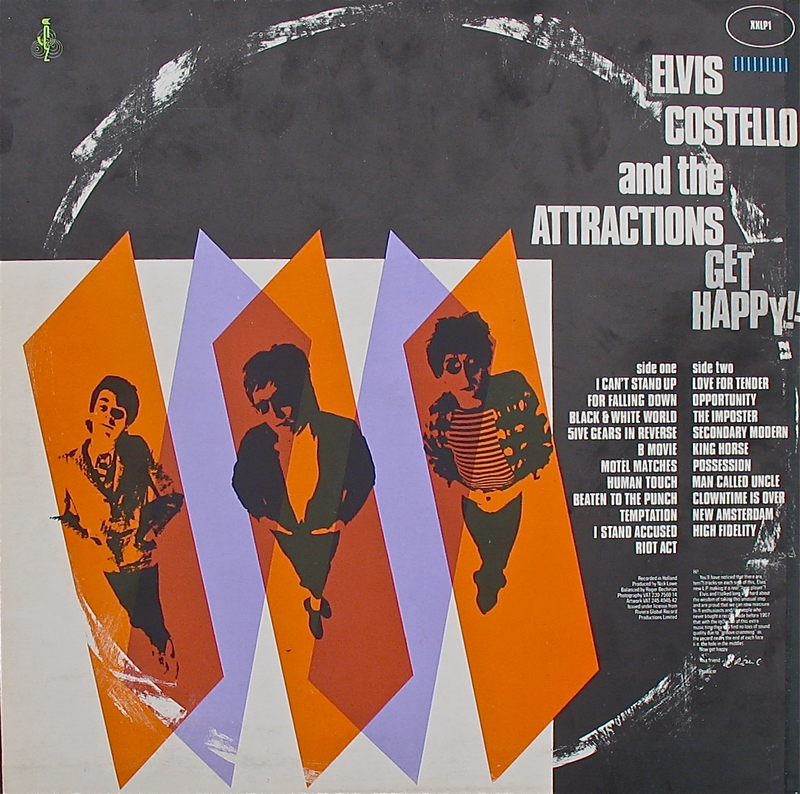 Released in 1980, following on from the success of "Armed Forces" and its hit single, "Oliver's Army", Elvis Costello decided to turn his back somewhat on the "New Wave" and produce and twenty track album of Motown/Stax/Atlantic/Northern Soul sub-three minute pop-soul classics. Contrived it may be, but the songs are a delight. Only Sam & Dave's "I Can't Stand Up For Falling Down" (radically re-arranged here anyway) is a cover. The rest are Costello originals "in the style of". Even the cover had sixties-style artwork and a false imprint of the disc imaged on to the middle of the artwork. The tracks features Steve Nieve's organ to the fore and many have a Motown-stule percussion. 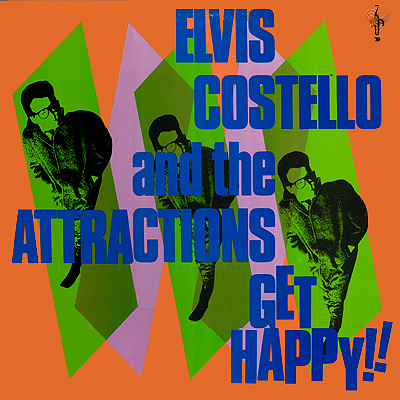 Costello's acerbic voice is strangely suited, however, and tracks like the soulful "Opportunity", the frenetic "The Impostor", the Motown-ish "High Fidelity" with its first line taken directly from Diana Ross & The Supremes' "Some Things You Never Get Used To" are a delight. Also up there are "King Horse", "Love For Tender", "Temptation", "Beaten To The Punch" and the ska of "Human Touch". Only the final ballad "Riot Act" sounds like typical Elvis Costello. From beginning to end, "Get Happy!" is an extremely enjoyable listen. In my top three or four Costello albums.